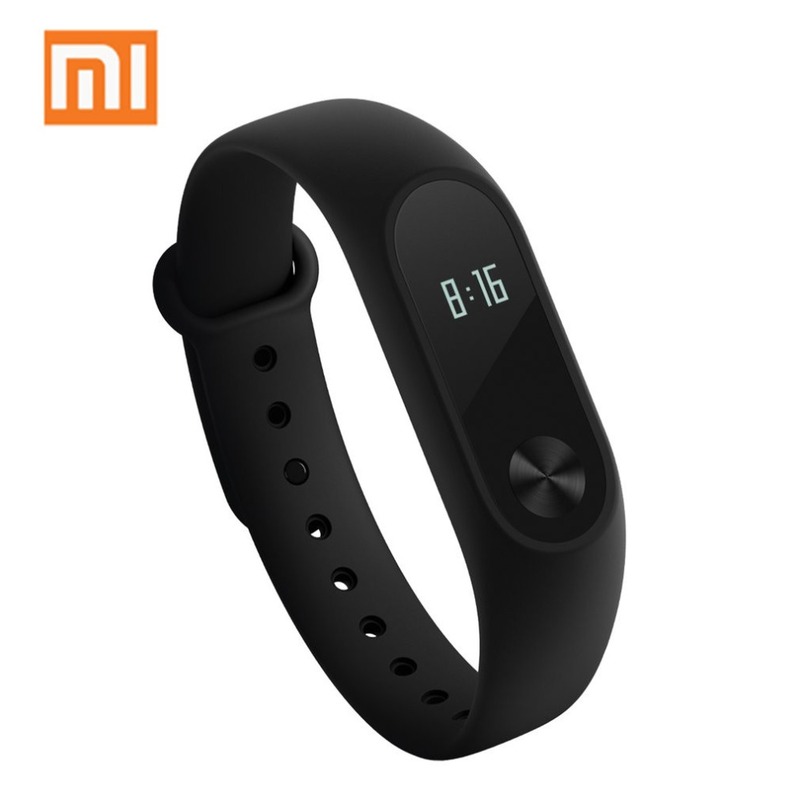 OLED display is added, you can display by touching the round button, showing the current time, pace, heart rate, and even more data about mileage, heat, etc when it is not convenient to touch. 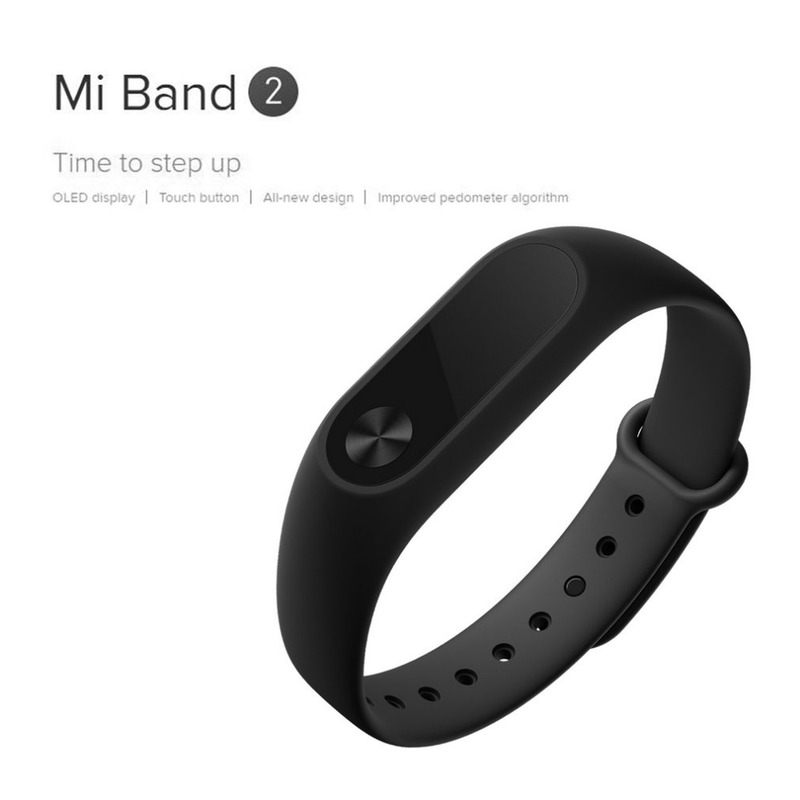 Based on a new hardware platform, class of motion step algorithm, effectively filtering in the state without movement of the high frequency activity, it greatly improves step accuracy, allowing daily steps to be measured. 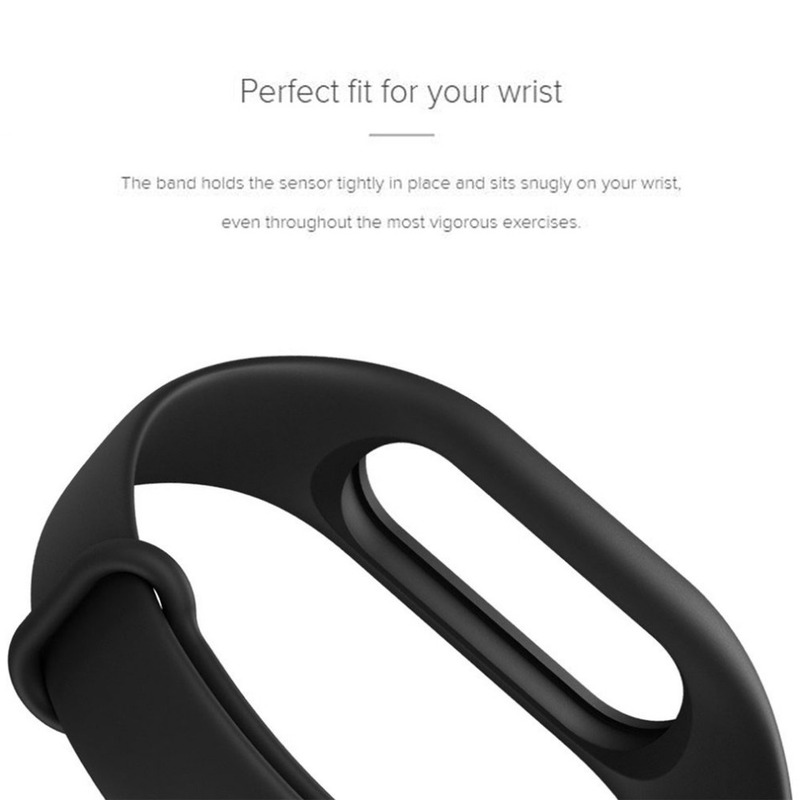 The data is more accurate. 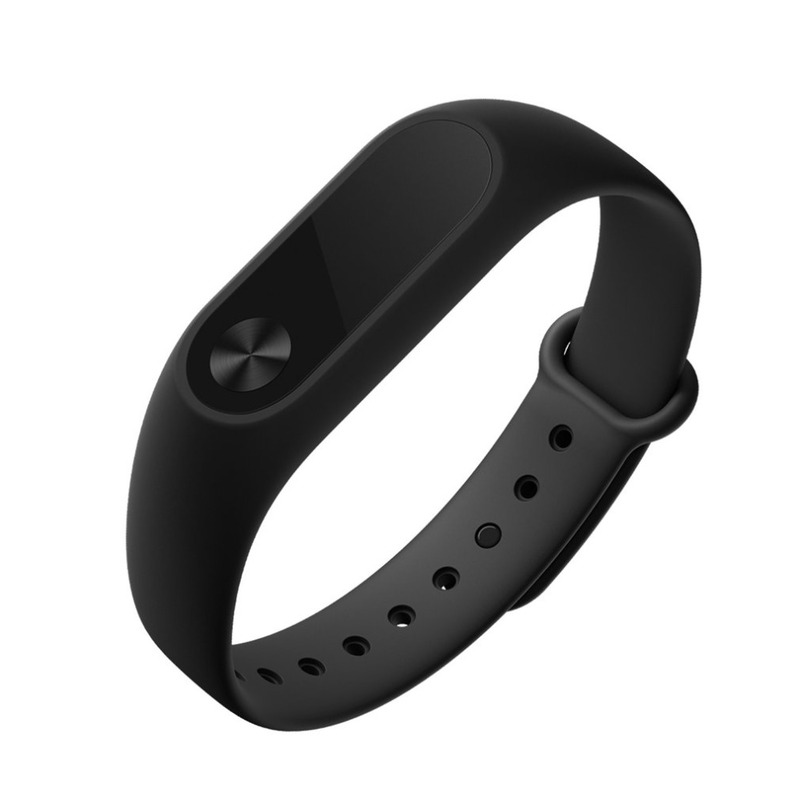 Through the built-in movement and heart rate sensor, you can accurately read the heart rate changes, the movement of the heart rate monitoring and prompt, let you according to heart rate, free planning, movement time and amount of exercise. 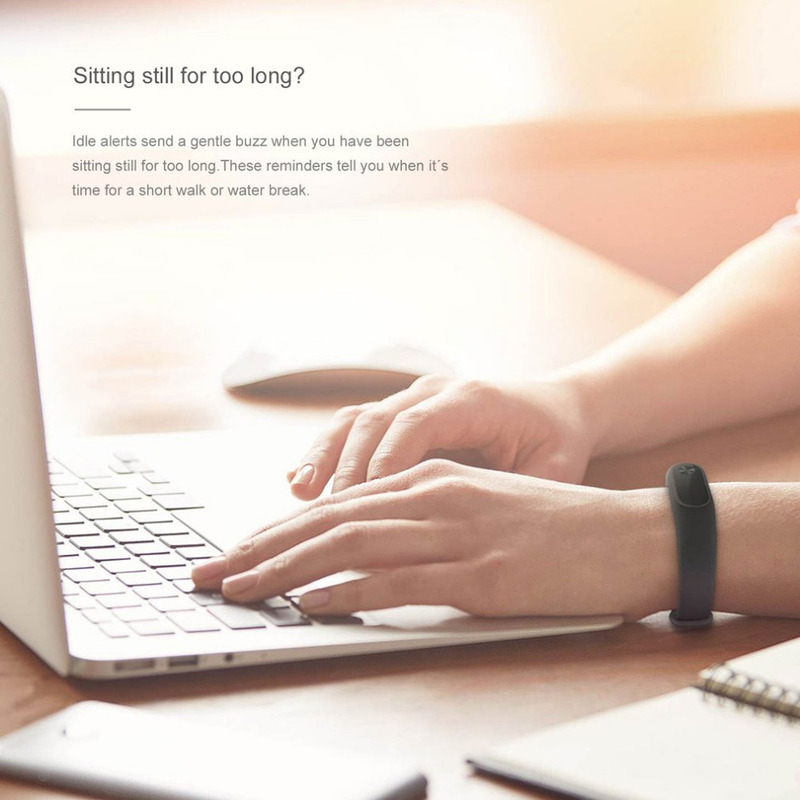 The wristband automatically monitors your movements, and when you are sitting tight, it tells you to get up, move outside, breathe the air, relax your body, and recharge your health! 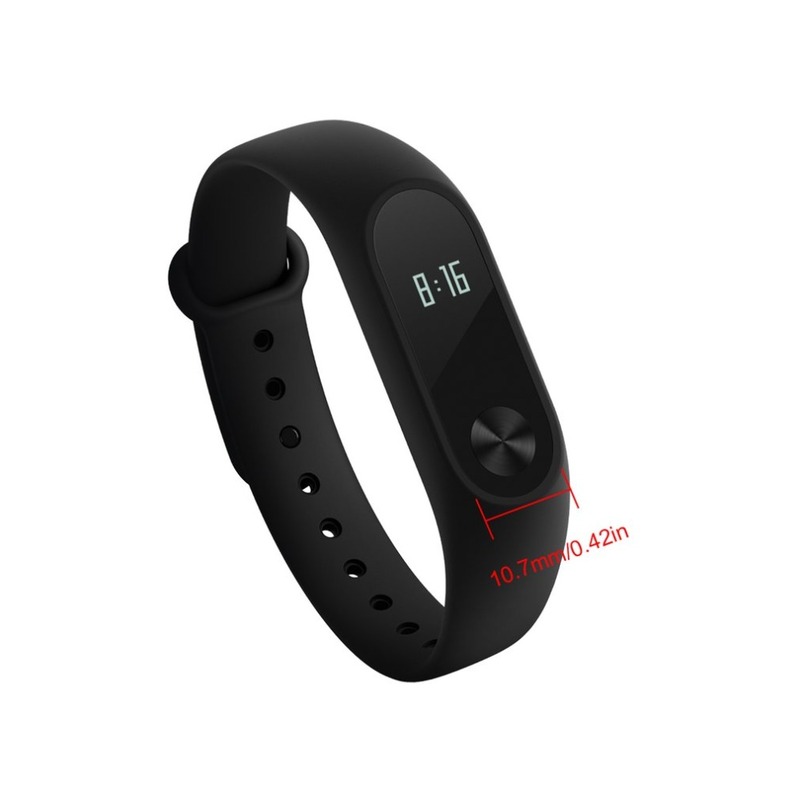 ADI accelerometer and optical heart rate sensor upgraded pedometer algorithm,hypoallergenic silicone band. 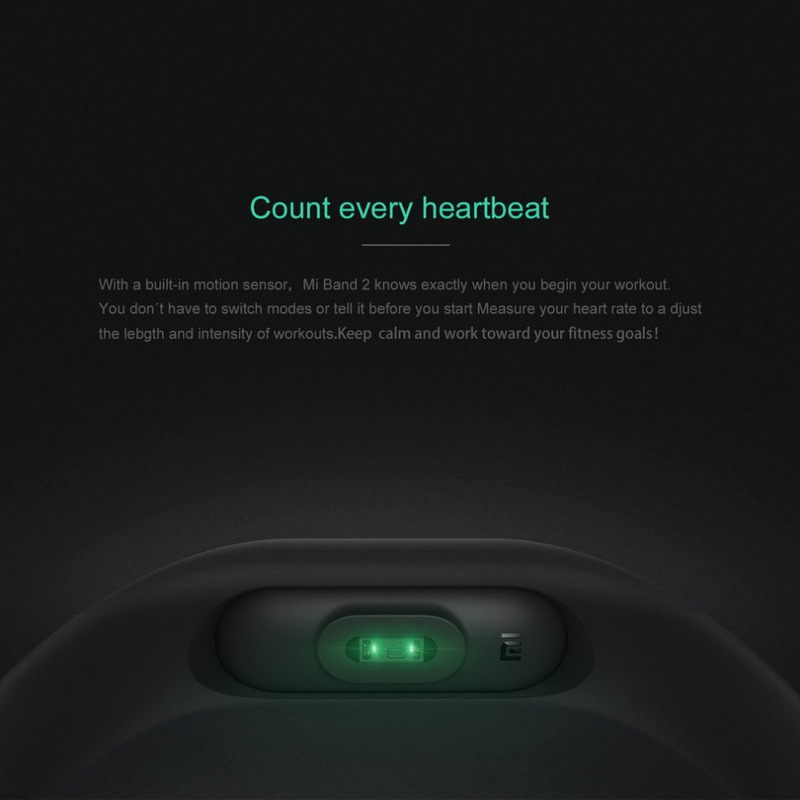 When you are running,Xiaomi band2 will remind your speed and heart rate. 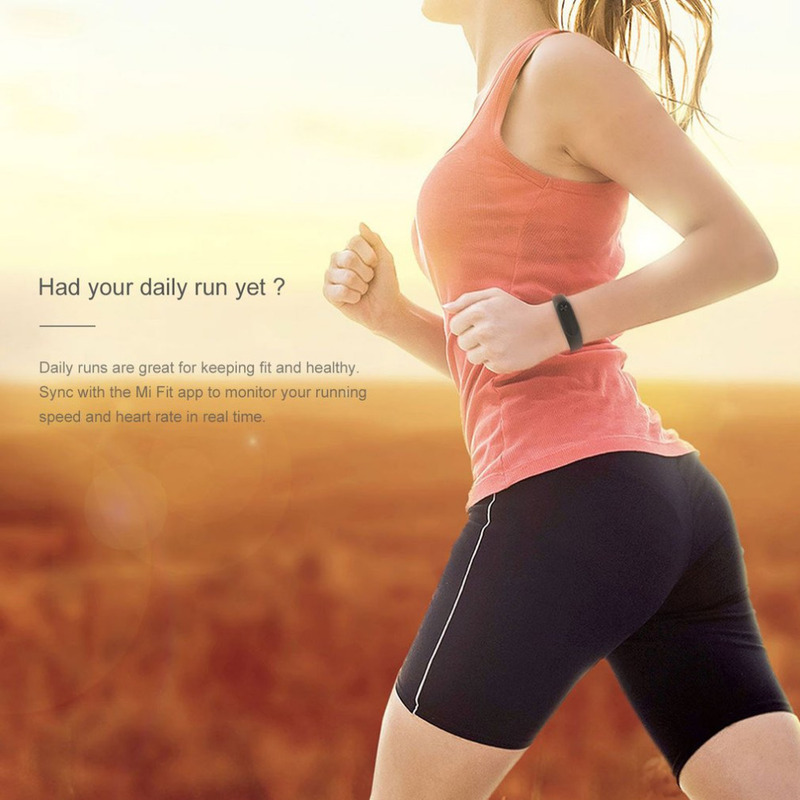 Also you can work out customized schedule to improve fitness effect via app. 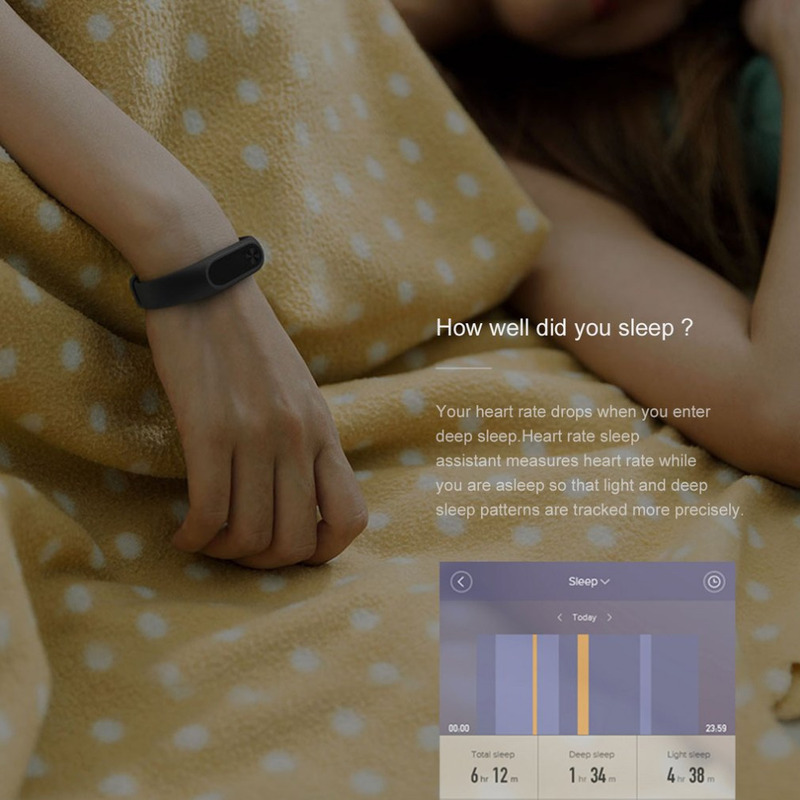 The science of sleep monitor sleep duration via phone app records light and deep sleep patterns. 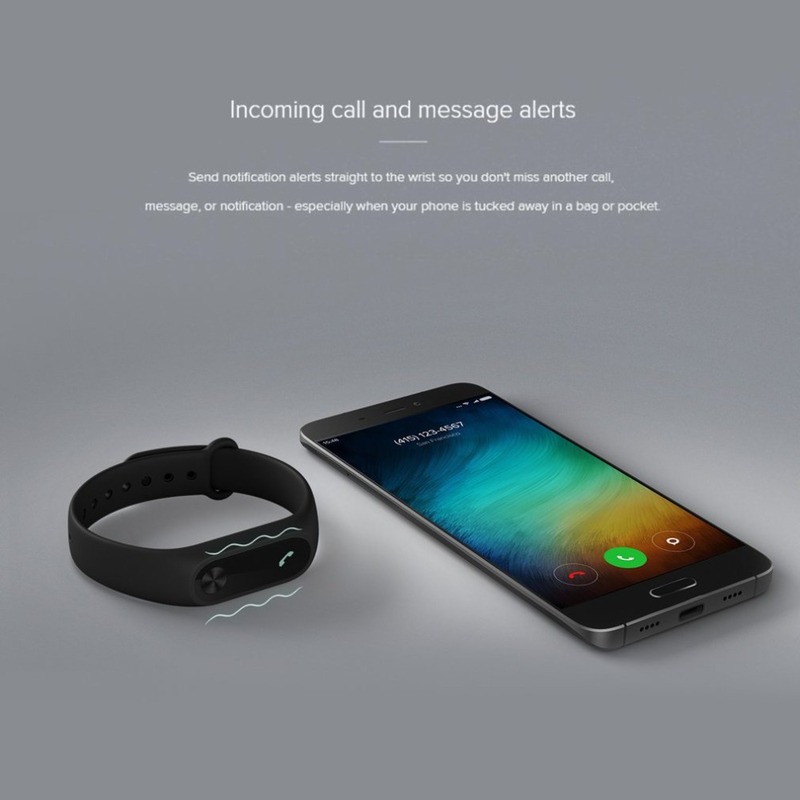 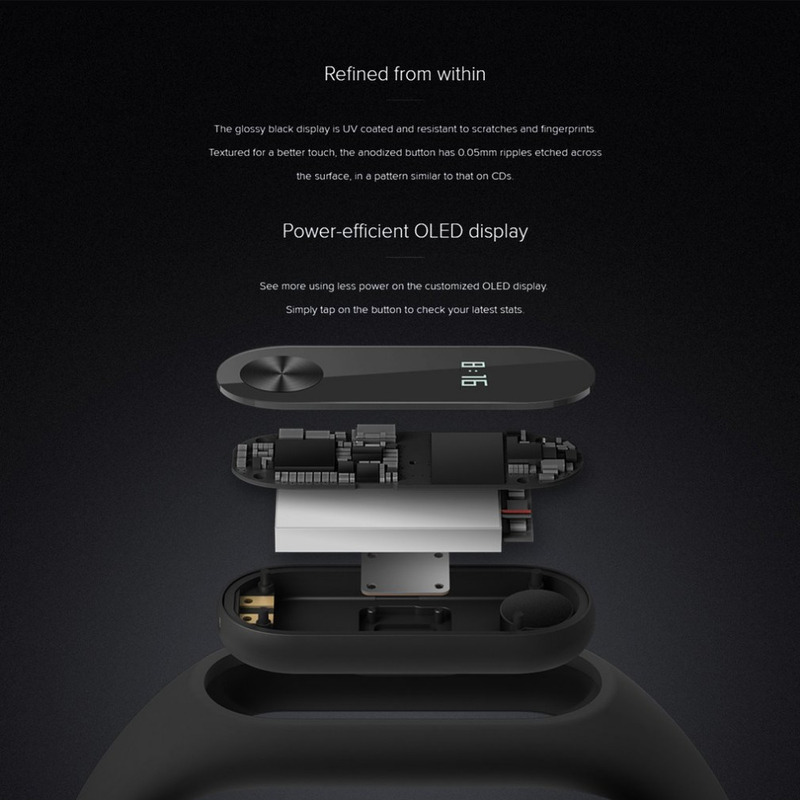 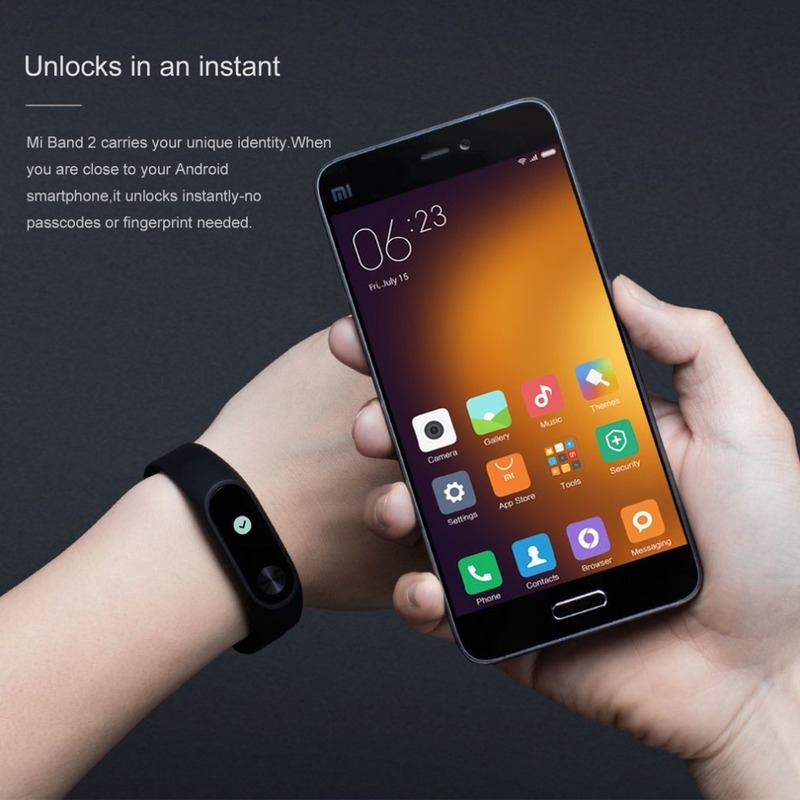 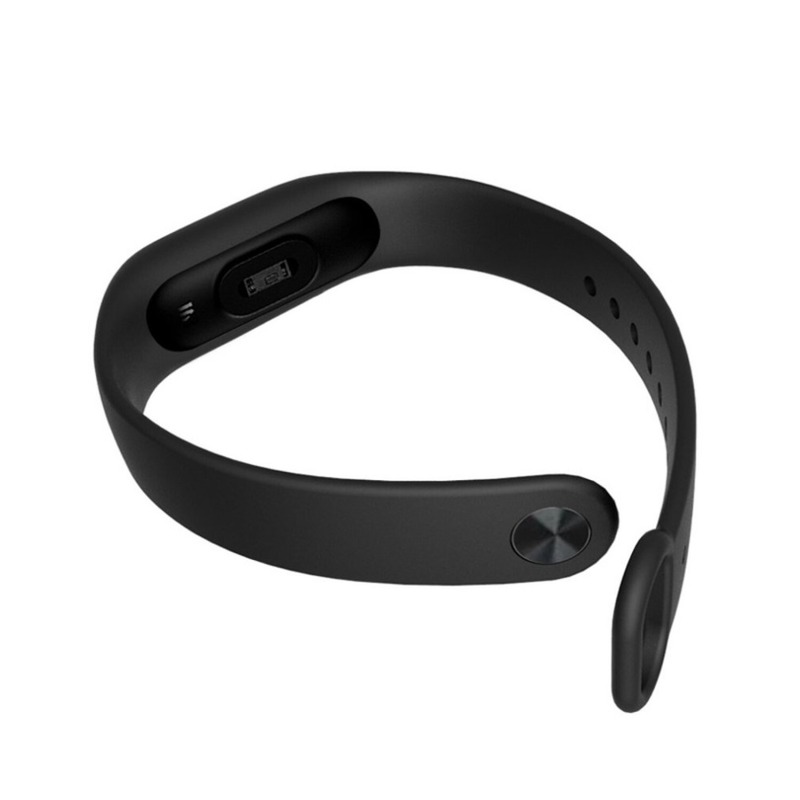 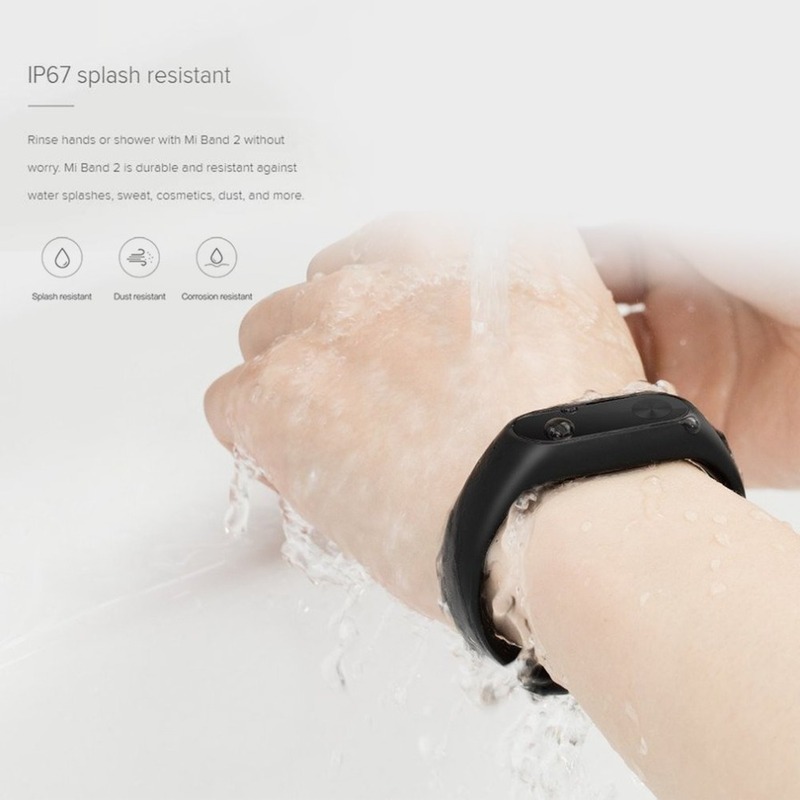 Waterproof IP67 Xiaomi Band2 Resistant to water,dust,sweat. 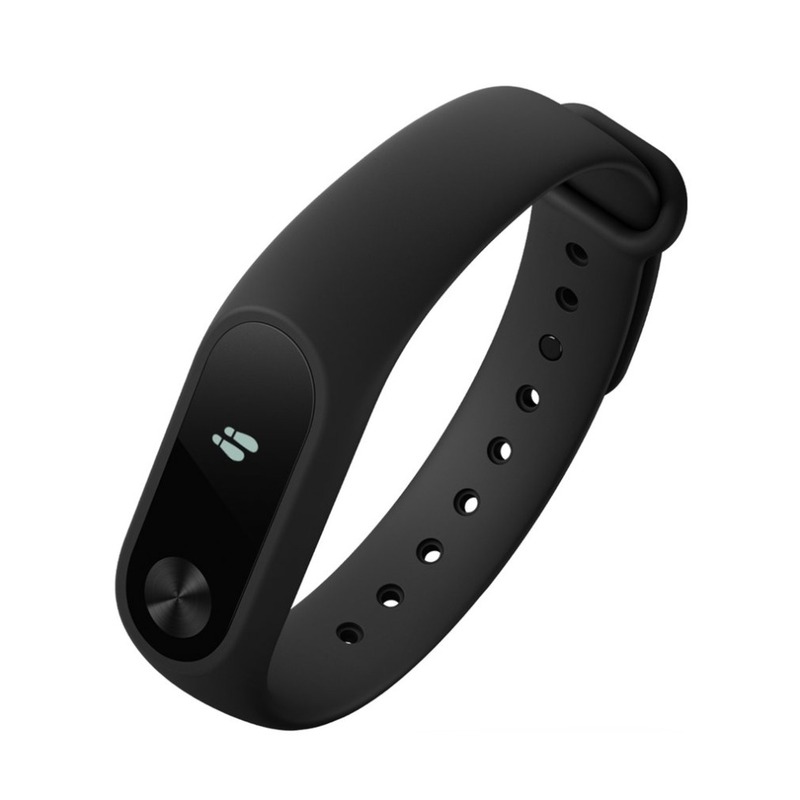 Power-efficient ADI accelerometer,optical heart rate sensor resistant to scratches and fingerprints Anodized 0.05mm ultra-thin button 2and gen Bluetooth 4.0 for faster,stable connections.